In scientific or official documents, you usually need to insert footnote. It is a small text addition in the bottom of page with a corresponding reference number in the main text. 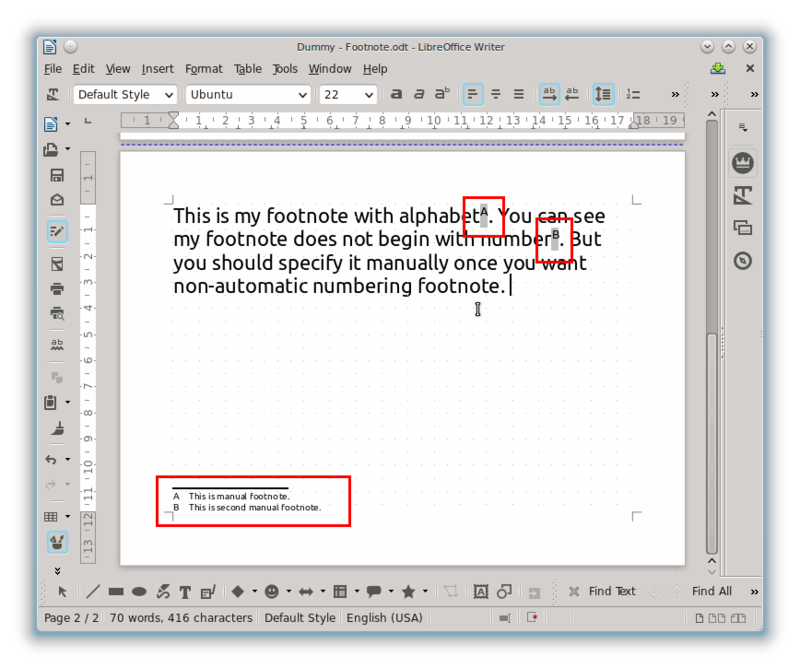 You can insert footnote in LibreOffice Writer by menu Insert > Footnote/Endnote. Place your cursor where you want the footnote to be. Go to menu Insert > Footnote/Endnote. Let it be default then press OK.
As the result, you get the reference number where you place the cursor and a footnote in the bottom of that page. 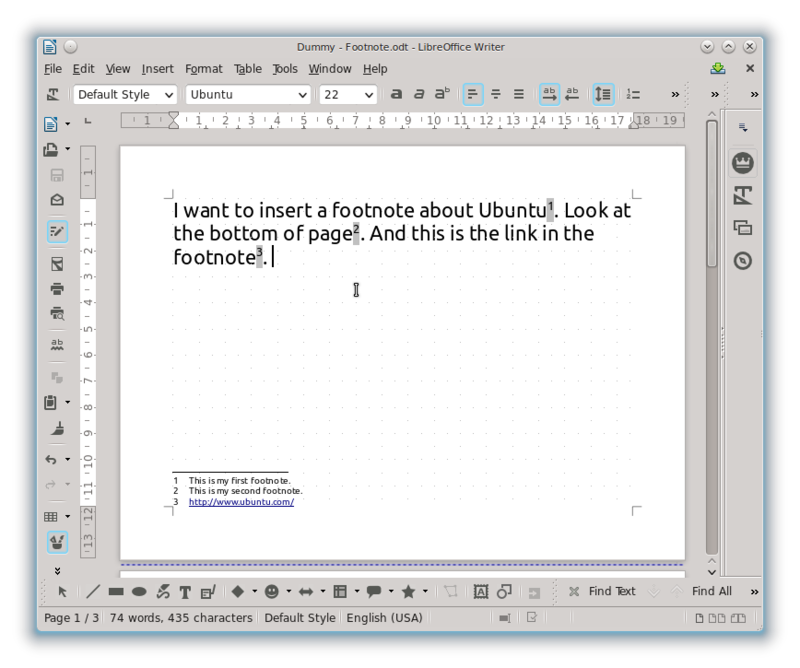 The more you add the footnote, automatically LibreOffice will adapt the height of your footnote against your main text. See picture below. The common usage of footnote is numbered. But if you want, you can change the numbering to any character or just alphabets. 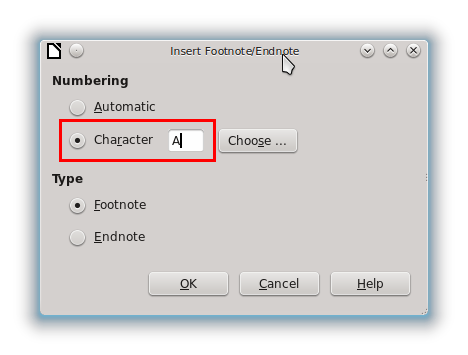 You can do it by menu Insert > Footnote/Endnote > select Character and type the alphabet you want. I give A and B example. You can try it with another character by Choose button. As the result, you get the numbering reference changed into your alphabet choice. To delete a footnote, you need to delete the reference at the main text. So in example, if you want to delete footnote number 3, then just delete the reference number 3 in the main text. 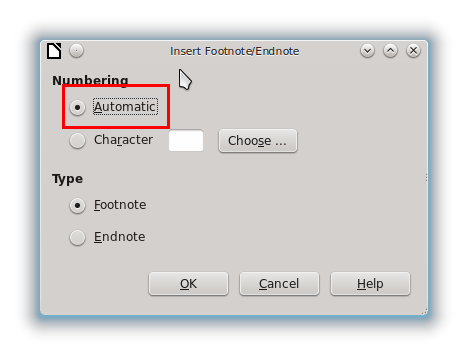 If you create footnotes frequently, I recommend you to give it a shortcut key. 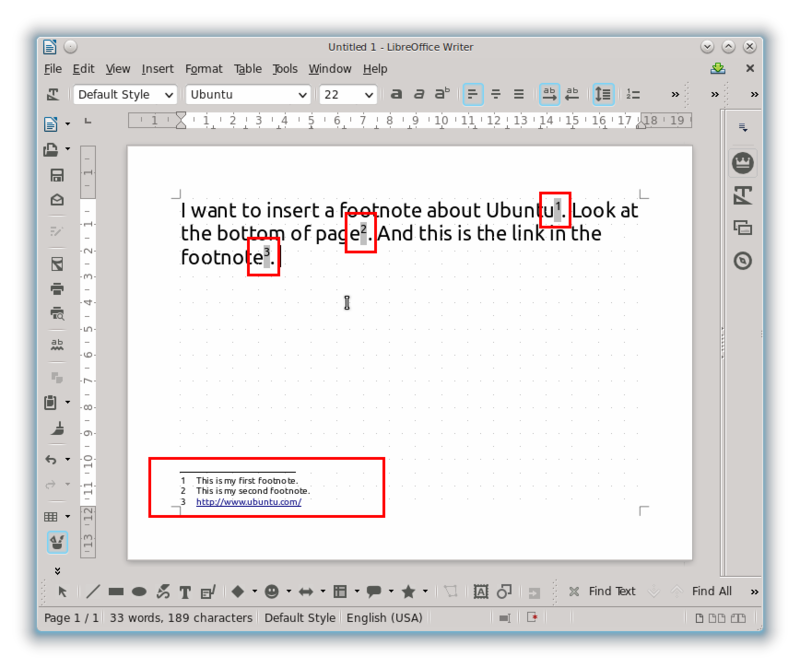 When installing Ubuntu or LibreOffice, I always set my footnote shortcut key into Alt+C. You can do it by using menu Tools > Customize > select Insert from Category > select Footnote/Endnote from Function > select shortcut you want on top box (e.g. 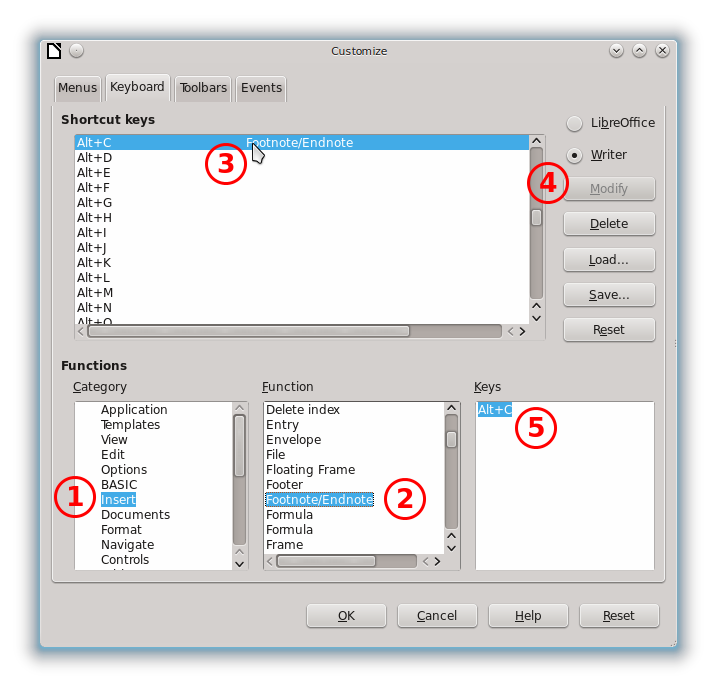 Alt+C) > press Modify > the Alt+C will enter the bottom-left box > press OK. See picture below.